Few things are as financially intimidating as an IRS audit. As opposed to most other IRS actions against you, you don’t necessarily need to do anything wrong to be audited. Tax evaders and model citizens alike can become subject to scrutiny under the vigilant eye of an IRS auditor. Although, responsibly handling your taxes considerably decreases your chances of getting audited. Still, there is a chance a small error, miscalculation or misunderstanding leads to a closer look at your taxes. Even something as benign as a large, uncharacteristic charitable donation may lead to some questions. If you are about to experience an audit or if you are afraid of what might happen if one occurs, there are a few things you should know. Movies and television shows may depict audits as frightening encounters with stern and humorless G-men, but for the most part audits are rare and simple encounters. Although in-depth, probing audits do occur they typically happen to those the IRS suspects of serious white collar crime. There are three types of audits where the main difference is your level of contact with the IRS: field, office and correspondence. 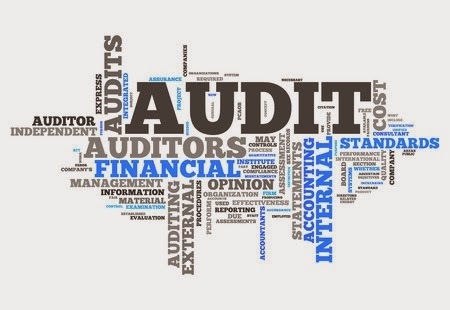 Field audits occur at your place of business or your home, office audits are when you go to an IRS office, and correspondence audits happen by mail. The one that an average taxpayer might experience is the correspondence audit. These typically involve clarifying certain discrepancies an IRS agent may have found on your return. Once any errors are cleared up, the audit is over pretty quickly. Remember, the IRS’s main goal is to make sure people are filing honest and accurate returns. As long as you are doing that, any audit you might experience should be pretty simple. Despite the rarity and simplicity of most audits, uncomfortable examination of the finances of taxpayers does happen. However, there are some simple practices you can adopt in order to limit your likelihood of being targeted. · Don’t rush. Tax season can be a nuisance, especially when piled on top of an already busy schedule. In today’s fast paced lifestyle it can be easy to fall into the habit of rushing through your taxes just to get them out of the way. However, a hasty look through your taxes is likely to lead to mistakes and mistakes lead to audits. · Be honest. Report accurately all income, deductions and any other numerical figure on your return. · Be aware of your tax bracket. The least audited tax brackets are right in the middle. If you are in the highest or lowest bracket, you are at the greatest risk of being audited and, therefore, you should take extra care when preparing and doing your taxes. · File electronically. E-filing is a great way to manage your taxes. It is quicker for you to file and faster for the IRS to process. Plus, the calculators and algorithms that crunch the numbers for you significantly decrease your chances of making a math error. · Choose professionals wisely. If you choose to use the services of a tax professional, make sure you are doing business with a reputable source. For instance, Levy & Associates is a tax consulting firm with an A+ Better Business Bureau rating that has been around since the 1960’s. An organization’s longevity and good standings with trusted sources like the BBB can be indicative of honest business. Also, check consumer reviews for the overall quality of their service. If you do end up going through an audit make sure you gather all the necessary documents and cooperate with the IRS for a smooth and simple experience, and respond to the government’s attempts to reach you immediately. If you have the choice between going to them and having them come to you, choose to visit the IRS office. This will show your eagerness to cooperate, and it will limit your exposure to scrutiny. Before you head into an audit review your rights and what you will need, remember to stay calm and be polite. If you are an upstanding taxpayer, you have no reason to fear and if you are rude you may look guilty which may trigger further investigation. About the Author - Lawrence Levy is the President and CEO of Levy & Associates, a firm specializing in tax resolution and IRS assistance.